Our holiday gift guides last year were filled with many out of the ordinary gift ideas – we figured you could find the usual ones on your own. We discovered, got from fellow triwives at recent races, or thought up some more for this year that we really love, so are updating our holiday gift guide for 2014. Some general thoughts….You know your triathlete, so think of things they wouldn’t buy for themselves and may not be triathlon-related (yes, I did go there). I’m talking tickets to a concert – one of the best gifts I ever gave Carl was to the Carole King/James Taylor concert at Madison Square Garden; get them upgrades to products they love, such as a better duffle bag (maybe one that doesn’t even say Ironman), nicer gloves, watch (yes, even the new Garmin 920XT), sunglasses, or higher end scotch (insert favorite alcohol); or sign them up for a class they’ve always wanted to take, but never will do on their own. I know, when will they find the time, but just maybe if you buy it, they will come…. Yes, this is actually my trihubby’s new Garmin. Ever wonder what to do with all those t-shirts piling up from the races? Ours currently go to a local charity. But, I heard from other triwives that they turn theirs into quilts. Campus Quilt will do this for you in any size. They can even do them in 2-3 weeks or sooner, but you have to order online, get a kit, and then ship back your fabric, so figure in additional time. They do start at $129, so not inexpensive. I love giving to a charity at this time of year and what’s more appropriate for your triathlete than Shoe4Africa? Their projects focus on health and education in African communities to better the lives of the residents. When you come to realize we all have enough “stuff”, this is a way to do good. If your trihubby is concerned about his nutrition, how about a 75 minute consult with Kyla Channel, Sports Nutritionist? Kyla works with coach Matt Dixon at purplepatchfitness. She will review your triathlete’s current nutrition issues, look at sleep, eating, and training habits and develop a plan to optimize their nutrition going forward. Our trihubbies actually consult with Stacy and we love that she’s into real food. Got a lot of photos piling up? I know I do. Why not do a photo collage and hang it in front of their training bike? 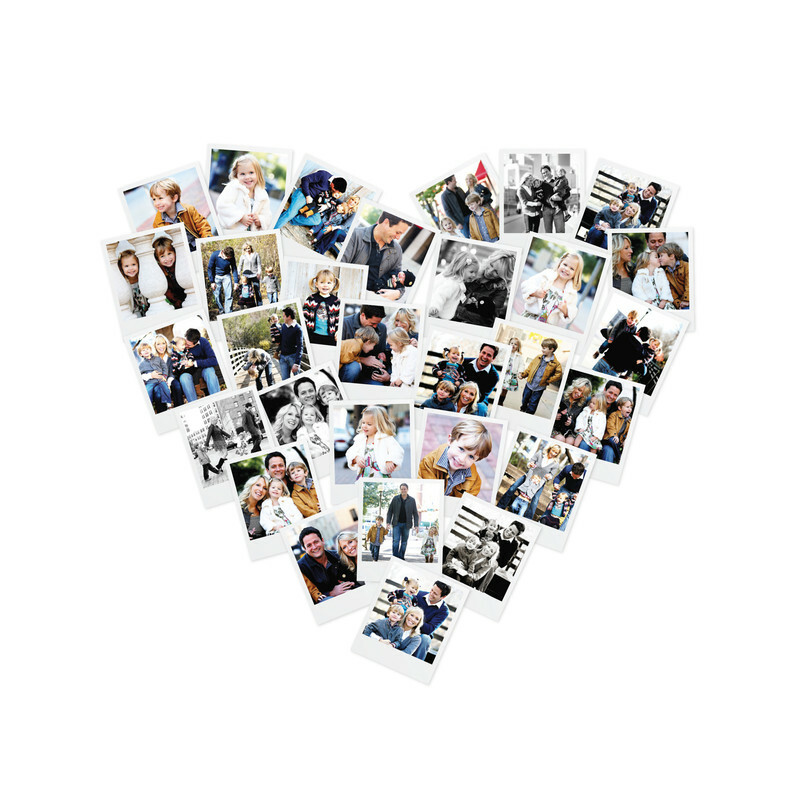 Minted offers you some choices, like this heart shaped collage with 30 photos. How about a vacation where there are things to do that both of you will love – think bike riding, wine tasting, cooking classes – sound good? In the States, there’s a Santa Barbara Wine Country Bike Tour and internationally, think Mallorca. We’ve been to both on vacations and for a race and you can’t go wrong with either selection. Duvine is a cycling adventure company that offers a wide variety of tours. We’re not talking inexpensive here, but it’s a chance for some together time. When we were at Ironman Arizona, I heard more than one triathlete talking about either having and so happy they did or needing a Leatherman tool. Comes in VERY handy when they need to do bike repair on their own. Compression socks by Vim & Vigr. My triathlete loves pancakes as I’m sure yours does, too. I saw these great syrups at Blackberry Patch and thought they’d make a perfect gift. They are hand made in small batches and come in great flavors like pumpkin spice, apple butter, and of course, blackberry. Along the same lines, I have to assume your triathlete loves nut butters as much as ours, so if you’re looking for something different try the trio from Solstice Canyon. Aztec Chocolate Almond Butter anyone? Don’t want your triathlete getting back into the car with wet, stinky clothes after a race or workout when they’ve driven to meet friends? Here’s such a cool invention – a plastic jacket for your seat! It’s from SeatSkull and stows away in a little ball when not needed. We love giving homemade gifts to people who have helped our triathletes during the year, not to mention family and friends. I came across a great post by Dorothy at Crazy for Crust, called 50+Homemade Holiday Gift Ideas, so thought we’d share rather than trying in vain to create our own ideas. Some of my favorites include the body scrubs, Oreo Peppermint Bark (which I tried at Thanksgiving and is Sooooo delicious), and Homemade Sugar Cookie Mix. I have tons of pictures stored on my computer. I’ve started deleting them from my phone and the SB card on my camera, but I still worry about losing them if anything crashes. There’s a back-up device called the Photo Vault that you just put into the USB port and it searches for all photo files, including movies and copies them for safe keeping. It can store up to 16,000 photos – whew, that’s a lot of triathlon pictures even for me!!! Well, we hope all of our Holiday Gift Guides inspire you to up your game when it comes to finding that special gift for the triathlete in your life and we hope for your sake, they do the same! Great ideas guys. I would love to do the cycling trip. It looks amazing and even this non cyclist might enjoy. I think I’m going with the new Garmin this year as this seems to be what he really wants. How does your husband like his? Thanks so much Marlene. My husband’s watch actually got recalled, so to speak. Apparently there’s a potential problem with the battery and they offered to replace the whole watch. We’ve sent it in but haven’t gotten it back yet. When he had it, he really seemed to like it and certainly wants it back!